View authentic patient reviews from rater8. Board Certified Orthopaedic Surgeon whose expertise includes knee reconstruction, hip & joint replacement, and ACL repair. Dr. Freedberg completed his orthopaedic residency at the University of Illinois in Chicago. Additionally, he completed two fellowships: one in sports medicine at the prestigious Wellington Sports Medicine Center. The other in reconstructive arthritis surgery at the acclaimed Bone and Joint Institute in Cincinnati, Ohio. With over 25 years of orthopaedic experience, Dr. Freedberg is known locally as “The Knee Expert”. Most recently, he developed an innovative double bundle ACL Reconstruction Technique in conjunction with Biomet, with whom he is an independent contractor. The double bundle ACL Reconstruction Technique is now being recognized and implemented internationally. Beyond knees, Dr. Freedberg provides a complete range of orthopaedic surgical services including full and partial joint replacement. He is among the first doctors in our area to perform Mako Robotic-Arm Assisted Surgery, the latest advancement in joint replacement. The Mako System is the first and only robotic technology that can be used across the joint replacement service line to perform total knee, total hip, and partial knee replacements. Dr. Freedberg is Board Certified by the American Board of Orthopaedic Surgery and has subsequently been recertified twice by the same governing board. Dr. Freedberg is also subspecialty Board Certified by the Sports Medicine American Board of Orthopaedic Surgery and the American Forensic Association. Nationally renowned, Dr. Freedberg was deemed a Master Instructor of Arthroscopic Surgery by the Arthroscopy Association of North America, and serves as an instructor for the American Academy of Orthopaedic Surgeons. He is a consulting physician to the Player’s Association for the NFL and MLB, and is a team physician for five local high schools. He has been recognized by U.S. News as a Top Doctor. In April 2011, he was awarded the “Best Doctor Award” by Chicago Magazine. Dr. Freedberg lectures on his theories and techniques on subjects that include not only knee reconstructions but many other joints of the body including the shoulder, of which he is also recognized as an expert by his peers. He has published numerous articles on the subject of arthroscopy. He is presently involved in novel research on the Anterior Cruciate Ligament (ACL) with the robotic knee testing device, which is a revolutionary computerized knee testing device. 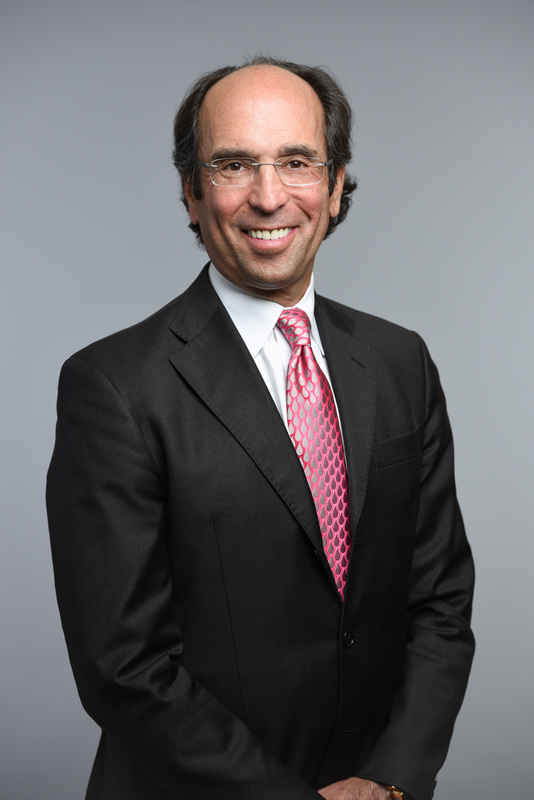 Dr. Freedberg believes that each patient deserves the utmost in service. He takes extra time to provide each patient with the individualized care they deserve and treats every patient as though they are a family member. Dr. Freedberg is an avid bicycle rider and keeps fit on a regular basis. Click Here for my Curriculum Vitae. Click Here to complete registration forms. Dr. Freedberg performed a tendon repair on my ankle after a work injury. Dr. was very thorough and the repair was a success. Dr. Freedberg made sure that I was comfortable and alleviated any worries or fears I had. He is a very busy MD and he still makes the time for each patient, which makes you feel as though you are their only patient. The doctor was late for surgery that day, as he had an emergency case. They made sure (as I was in the hospital waiting) that I was updated each step of the way. Afterward, I attended PT and the therapists were excellent and very committed to my care. They were very convenient with their hours and scheduling. I am not only a patient, but also an RN and have seen many, many doctors in my career and I can truly testify that Dr. Freedberg is top-notch. His staff is very friendly and accommodating. The entire office process is streamlined: from your initial convenient appt. to the lush office waiting area. Once you are in the room, they quickly send you for x-ray and their Rn does the initial history and physical. Usually you will then see Tony B. PA and he will exam you and prepare for Dr. Freedberg. Doctor will examine you and if any additional testing is required, they have an MRI right in his office. They really try to minimize time spent in the office. I was very impressed with the whole process. Tony B., Doctor Freedberg’s PA, is outstanding. He is gentle and thorough and very kind. Following surgery, I had additional pain and he and the entire office was so easy to get a hold of (even though it was evening). In this day and age, when there are so many doctors to choose from, I can really testify that this is the place to go! If you are someone considering a total knee replacement, look no further than Suburban Orthopaedics. Dr. Howard Freedberg and his dedicated staff are outstanding. They are a caring and understanding group of individuals, headed by a brilliant doctor that is all business, but also compassionate to your needs for a better quality of life. He possesses in his hands a gift from God to perform your surgery and get you back on track with your life pain-free! I want to say that my experiences with knee replacement with Doctor Howard Freedberg have been wonderful and he is a blessing to all who are under his care. He is all business and I feel safe a secure knowing he has the training and expertise to improve my health and overall quality of life. Dr. Howard Freedberg performed two total hip replacements for me this year. The right one on January 23rd and the left one on June 1st. Both operations were flawless with no complications. I am very happy with the results. I was able to walk without crutch or cane after only two weeks on the second hip. Two years prior Dr. Freedberg did a major rotator cuff repair on my right shoulder, again, flawless. This is a very professional and sophisticated orthopedic practice. I recommend it highly to anyone considering hip or shoulder surgery. I want to give kudos to Suburban Orthopaedics for the treatment I received after a recent car accident which required surgery. Dr. Freedberg performed the surgery and after subsequent therapy, I’m fully recovered and very satisfied with Suburban Orthopaedics. 18 years ago Dr. Freedberg performed surgery on my elbow which I had broken into 8 pieces. He is an excellent surgeon with a friendly disposition. I could never thank him enough for what he did for me. I would recommend Dr. Howard Freedberg to other patients and have over the years. The problem is where to start. I have had a couple of bad injuries. The first one was my lower back. My primary Doc. sent me to Suburban Ortho. I saw Dr. McNally. We tried therapy, injections with no luck. We decided on surgery. The time he took to explain things was awesome. It is not common these days to have a Dr. spend so much time with their Patients. The surgery was performed; the aftercare was second to none. Five months after I returned to work I fell off a ladder breaking my heel. (Ouch) I did not pass go and went straight to Suburban Ortho. I met with Dr. Freedberg. The only option was surgery. Surgery went well. The aftercare was again great. But as my luck would have it I had a second surgery that I am still recovering from. The compassion and knowledge of Dr. Freedberg is superior. The Staff is so caring. I need to mention Physical therapy, x-ray and MRI. Everyone is great. A true one stop shop and I can’t ask for anything better. I tell everyone how great Suburban Ortho is and always recommend them. If you ever want to feel comfortable at a Dr., this is the place! Dr. Freedberg is the best of the best! I have been under his care for 9 months now, and he actually is concerned about my health and making sure I make a full recovery. Please, if you have any doubts, DON’T….this is the Dr. to get you on the right path back to health. Also have to say that his staff is one of the best as well and will take care of you too! Thanks Dr. Freedberg for being so concerned! I am not on Facebook or twitter but I did want to send praise to my favorite orthopedic doctor and staff. Dr. Freedberg has taken care of all 6 members of my family over the last ten years. We have experienced nothing short of exceptional care. We have had a wide array of injuries with ankle sprains, broken bones, surgeries, car accident, etc. He has gotten us back to our regular schedule quickly but cautiously, always keeping in mind the best interest of his patients. He is extremely knowledgeable about sports injuries which have been the majority of our encounters. He has a great bedside manner demonstrating true concern for our injuries and level of pain. I can’t say enough about his staff. They are knowledgeable, funny and caring. One of his nurses even gave me her direct line after my car accident. Thank you for all you do to keep our family healthy!